Our first queer conversations event of the semester is happening Friday, February 15 from 12:00-1:00PM in the Union Room 312! 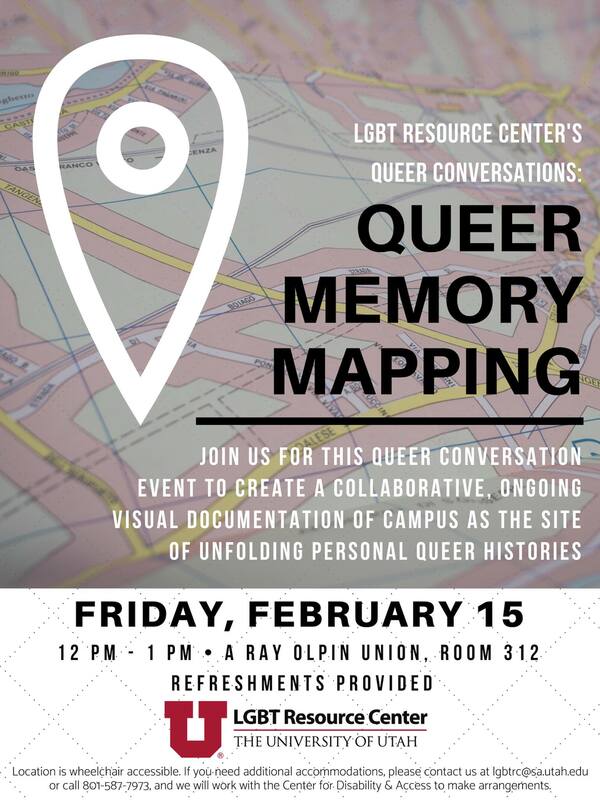 We will be creating a collaborative, ongoing visual documentation of campus as the site of unfolding personal queer histories. This will take shape as a community-personalized map of campus that will hang in the resource center. This event will be an opportunity to record your own queer memories, share thoughts on queer history, and meet new people over free food! The room is located at one at the top of the stairs on the east side third floor of the Union.